We pilots talk the talk about "giving back" to the community by using our airplanes as tools to reach out to the general public. We want to let them know the local airport at the edge of town is thriving, and is full of friendly pilots ready to introduce anyone interested to our very cool world. This 4th of July, I experienced what all this means, and watched as a group of selfless and generous pilots did everything they could to accomplish the often-arduous task of presenting GA to the public in a very positive way. While this sort of volunteerism is present throughout the EAA chapter system, this story is about Creswell, Oregon Chapter 31. 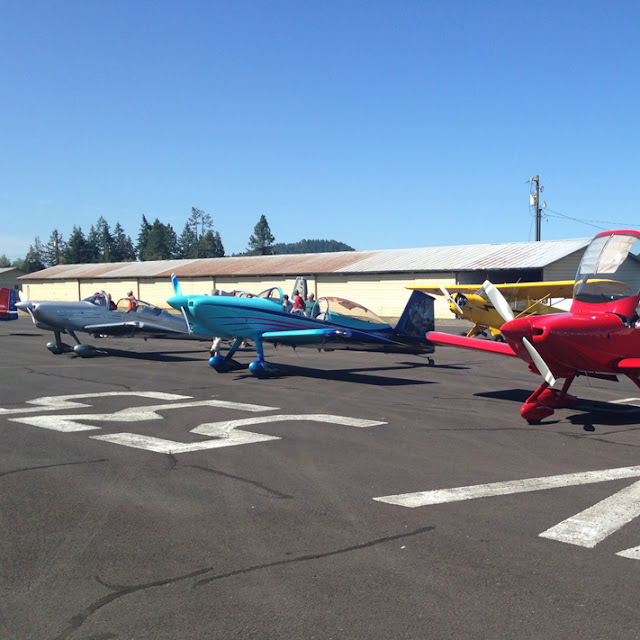 If you read part one of this series, you already know my holiday weekend began with a ride in a gorgeous RV-7 to do a National Anthem flyover of Eugene's local baseball stadium. That was a very fun ride, and you can read all about it here. 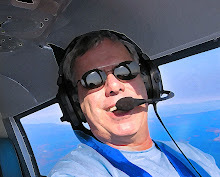 My "Celebrating the 4th by going RV-ing" weekend only got better when I was invited to ride along in an RV-6A built by fellow EAA Chapter 1457 member Alan Wieder. His -6A is extremely clean, the workmanship is excellent, and sports the logo of his alma mater, Oregon State University on the tail. As a fan of the big university just down the road in Eugene (and the arch rival of his Beavers), I will give him a pass on the tail art. A trio of Van's RVs and a Piper J3 Cub are staged at 77S before the parade flyover. The plan for the day was simple. 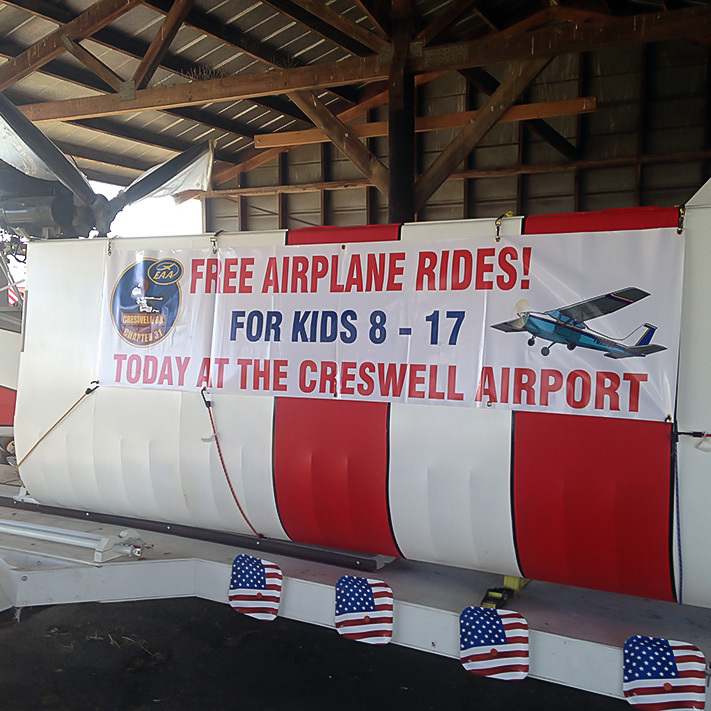 We'd launch a flight of several airplanes and make a flyover along downtown Creswell just as the big Independence Day parade was getting underway. At the pilot briefing though, we heard today's mission was going to be quite different than years past. Mission leader Gary Ludeke explained that a flight of two USAF F-16 fighter jets were scheduled to do hot flyover at 11:15A, and they would not do it until all the GA flyover planes were off the active back at 77S, Hobby Field. So Ludeke planned that we'd do two passes over the parade, one slow and one fast, and immediately get back on the ground so the fighters didn't have to orbit and wait, burning a bunch of taxpayer-funded Jet A. The flyover went off without a hitch, with eight planes showing off for the public down below. The flight was led by John Stahr and Ray Beverly, the formation that I had rode with the day before. They'd fly close formation to lead the trail of planes, with Stahr again using his new smoke system to announce our arrival over the parade. We made it all back to 77S quickly, and just a few minutes later, the sky erupted in the Sound of Freedom as the F-16s lit 'em up and blasted over town before cranking and banking to exit the area. When the parade let out, as planned, the stream of cars began pouring in the airport gate, full of wide-eyed kids hoping to take their first GA airplane ride. I had planned to stay all day and volunteer, but the chapter only found maybe six airplanes to fly kids, and the chapter members - who are very experienced at flying and organizing YE events - had everything handled with precision. So I just chowed down, and sat in the shade watching experimentals, a couple of Cessnas, a Sportcruiser LSA and a Piper J-3 Cub in a steady stream of arrivals and departures. I made sure to look at the kids as they deplaned. Each and every one had a grin wider than a A380's wingspan, and equally satisfied were the EAA pilots who were spending their own money to make these flights happen. This, my friends, is why we fly. EAA's wildly successful Young Eagles program is set to fly their two millionth Young Eagle at AirVenture, and it was so very cool to see this program in action. If the smiles and excitement these pilots created were any indication, I will wager that there were some kids who flew on a free airplane ride who will eventually join us in the sky as licensed private pilots. 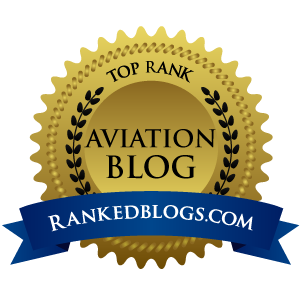 Because to create a full-on conflagration of aviation enthusiasm, you first need a tiny spark.